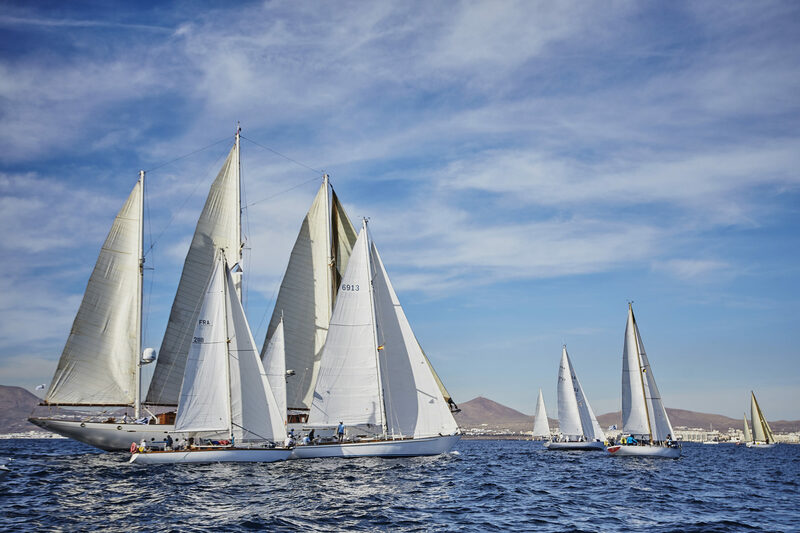 After a week of preparation in Marina Lanzarote, the “ladies of the sea” unfurled their sails and set off for the Caribbean island of Saint Kitts. 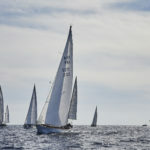 Yesterday, 8th January, the Real Club Nautico de Arrecife Committee launch gave the starting signal to the fleet of classic yachts that are participating in the Panerai Transat Classique, putting the finishing touch to a week of intensive preparation in Lanzarote, where the crews were able to finalise the set-up of their boats. Nine very competitive yachts, representing the wealth of nautical diversity, unfurled their sails off the coast of Arrecife and set course to Christophe Harbour, in Saint Kitts, following a route which will see them covering 3,000 nautical miles and which will take an average of 20 days. This is the only Atlantic crossing for classic yachts that currently exists. Since it is a very disparate fleet, we will have to wait for results with compensated times before finding out the winner of this edition of the Panerai Transat Classique. 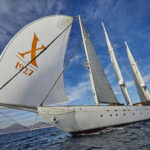 Among the participants is Xafira, an impressive schooner that, with its 50 metres in overall length and almost 1,400 m2 of sail area, seems to be the favourite to win in real time. However, doubtless her competitors will fight to make it difficult. Also participating is Stiren (1963), which is seeking to achieve a double after her victory in the 2008 edition. On-board this yacht is the famous Spanish sailor, Alex Pella, winner of the 2014 Route du Rhum in Class 40. The race promises to be spectacular!